Title Tthe bailout:plan:Who wins, who loses published to cocoa-touch. The proposal to bail out U.S. financial markets to the tune of up to $700 billion creates a lot of potential short-term winners, as well as some losers. 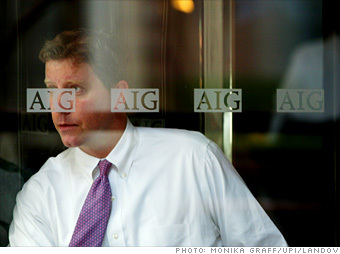 Wall Street and the banking industry are perhaps the biggest winners. Scores of banks and other financial institutions faced with going under stand to gain a lifeline that should allow them to start making loans again. Under the plan that congressional aide sought to put into final form Sunday, the Treasury Department can start buying up troubled mortgage-related securities now held by these institutions. These securities are clogging balance sheets, leaving banks without the required capital to make new loans and putting the banks dangerously close to insolvency. Banks not only have slowed lending to individuals and businesses, they have stopped making loans to each other. 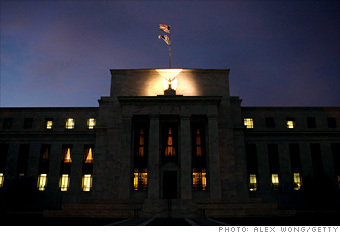 The rescue plan should help restore confidence to financial markets. There are other winners, too, if the bailout works as intended: anyone soon trying to borrow money — for cars, student loans, even to open new credit card accounts. There are other winners, too, if the bailout works as intended: anyone soon trying to borrow money — for cars, student loans, even to open new credit card accounts. 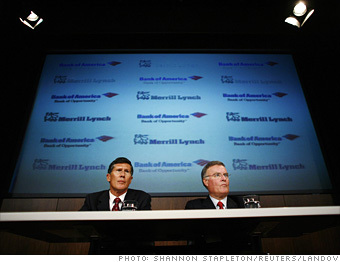 Top executives at troubled financial institutions, on the other hand, are in the losing column because the proposal would limit their compensation and rules out "golden parachutes." 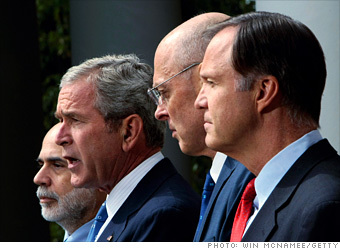 Of course, these executives may take solace in knowing their jobs still exist. Investors, including the millions of people who hold stock in their 401(k) and pension plans, should benefit. 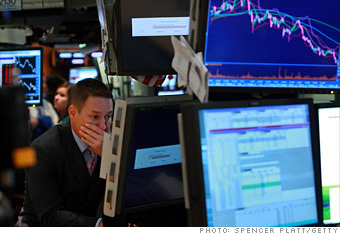 Failure to reach a deal over the weekend could have sent stock markets around the world tumbling on Monday. Homeowners faced with foreclosure or those who have lost their homes get little help from the agreement. Nor will it help people whose houses are worth less than what they owe get refinancing or take out equity loans. It would do little to halt the slide in home values that are one of the root causes of the current economic slowdown. "It doesn't deal with the fundamental problems that gave rise to the problem — or alleviate the credit crisis," said Peter Morici, an economist and business professor at the University of Maryland Treasury Secretary Henry Paulson and Fed Chairman Ben Bernanke are potential winners. In just a few months, they have remade Wall Street. If the plan helps to get the economy moving again, they may be remembered for having kept the financial crisis from spreading throughout the economy. 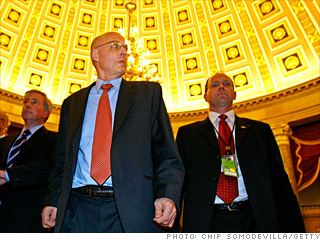 "When I see Hank Paulson and Ben Bernanke on TV, I see fear in their eyes. Like on a battlefield when people are shooting at you. I think they are afraid to say how serious the problem is for fear of making it worse," said Bruce Bartlett, an economist who was a Treasury official under the first President Bush. Bartlett said the plan is flawed, yet the alternative of doing nothing could be catastrophic. After the heavy dose of new regulation in the agreement, New York will have a hard time claiming it is the center of the financial universe. That title may have shifted to Washington. If the plan stays together, Congress — with approval ratings even lower than those of President Bush — may be seen as having acted decisively at a time of national emergency. Congressional leaders added new protections to the administration's original proposal. That was only three pages long and bestowed on the treasury secretary almost unfettered powers. Instead, the agreement would divide the $700 billion up into as many as three installments, creates an oversight board to monitor the treasury secretary's actions and set up several major protections for taxpayers, including a provision putting taxpayers first in line to recover assets if a participating company fails. The president, on the other hand, probably would get little credit for the deal. He allowed Paulson and Bernanke to do the heavy lifting. The only time he called all the players to the White House — late Thursday afternoon — the wheels almost came off the process entirely. It's hard to tell which presidential candidate benefits the most from an agreement they tentatively endorsed Sunday, a little more than five weeks before the Nov. 4 election. Democrat Barack Obama and Republican John McCain each sought to claim some credit for the deal, even though they played active roles only over the past few days. Hard economic times traditionally work against the party that holds the White House, and in recent polls Obama has inched ahead of McCain. Furthermore, there is widespread consumer resentment over being asked to bail out Wall Street and lawmakers have learned the proposal has not been popular with their constituents. That may help Democrats in general. 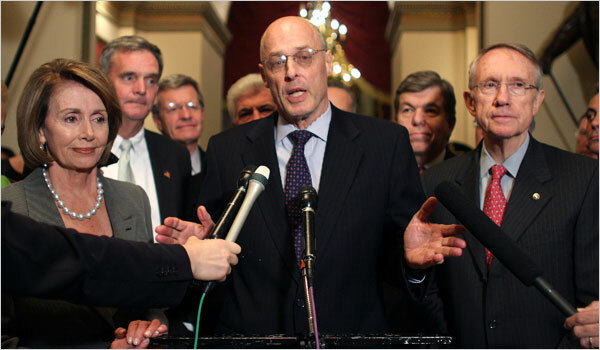 The strongest opposition to the original bailout plan came from House Republicans. Lawmakers and presidential candidates alike are "trying to orchestrate everybody jumping off the cliff together," said Robert Shapiro, a consultant who was an economic adviser to President Clinton. "I think we'd have a different plan if we weren't five weeks out from the election." And ordinary taxpayers? Nothing that potentially adds $700 billion to the national debt — already surging toward the $10 trillion mark — can be considered a winner for those who foot the bills. But lawmakers did put in taxpayer protections, including one to require that taxpayers be repaid in full for loans that go bad. The package could even end up making money for taxpayers, supporters claimed. But only if the loans and interest on them are repaid in full. Few expect that provision to be a winning proposition, however. • The Mortgage Bankers Association's quarterly survey of home foreclosures and delinquencies. The heart of the bailout plan gives the government authority to relieve financial institutions of the distressed mortgages and other bad assets on their books. Getting dodgy assets off the books of hobbled banks will make it easier for them to attract fresh capital and boost lending. As Lehman, AIG and other major financial companies racked up huge losses and saw more coming, credit problems spread globally, firms hoarded cash and they all clamped down on lending. That crimped consumer and business spending, and dragged down the economy - a vicious cycle Washington lawmakers hope to break with this historic bailout. "It's just a huge negative psychology that will be hard to turn around," said William Dunkelberg, chief economist for the National Federation of Independent Business and an economics professor at Temple University.